The government wants the present United National Party leadership to stay, for the present government has given an assurance to the present UNP leadership that they would be the UNP leaders for a long time to come, said H. R. Mithrapala, Deputy Minister of Livestock and Rural Community Development on Tuesday. 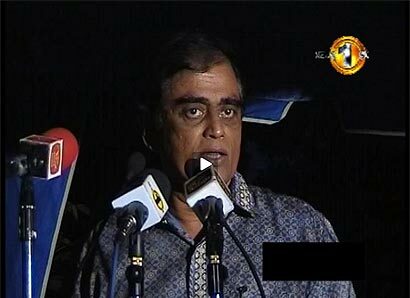 He was commenting on the UNP special convention held recently and the amendments endorsed for the party Constitution. “They have endorsed the new amendments to the party constitution, but they can’t implement them. This leadership will never leave, because we have promised that he would be the leader for life. “We have given that assurance. We need to keep this leadership to head the UNP for a long time to come for the simple reason that they would never be able to win an election. “Just look at how many elections were held? They never won,” said Mithrapala.